For over 25 years Bill Baker, author of Endless Money: The Moral Hazards of Socialism and founder of the Conservative Economist web site, has been an equity money manager or investment research analyst in an institutional setting. More than half these years he has spent concurrently developing two companies: GARP Research & Securities Co. (member FINRA, SIPC) and Gaineswood Investment Management, Inc. (an SEC registered investment advisor). Before this he was at Reich & Tang, Oppenheimer Funds, and Van Kampen American Capital, being directly responsible for mutual funds or institutional accounts during most of that interval. One of the funds he managed at Oppenheimer was awarded a Morningstar five-star rating in November 1990 shortly before he left the firm. Mr. Baker received his master of business administration from the Amos Tuck School at Dartmouth College in 1980, and he was granted a bachelor degree in economics in 1978 from the University of Pennsylvania. He is vice president and a trustee of the Harbour League, a think tank headquartered in Baltimore with affiliates in other U.S. cities (www.theharbourleague.org). 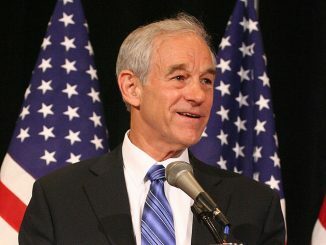 Can Ron Paul Reign in the Fed? When Will the AA Batteries Run Out?